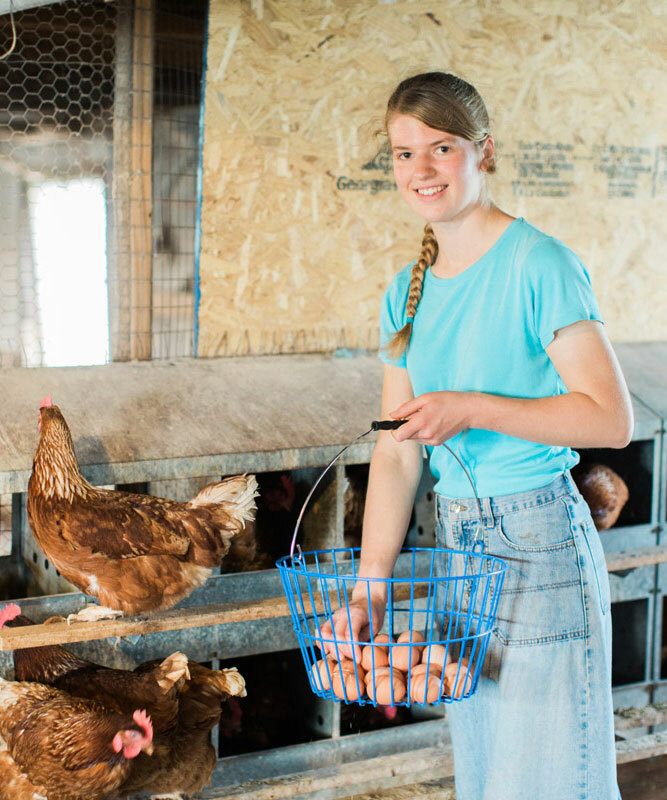 Easily Purchase All-Natural Wholesale Eggs At Our Non-GMO Family Farm. All-natural eggs can be purchased wholesale in a variety of quantities. There is no minimum purchase and we can arrange for regional delivery. Call ahead to purchase our all-natural eggs wholesale at our farm storefront, conveniently located at Sunrise Farms just 3.5 miles off I-64 exit 91. We also offer wholesale meat for purchase at our storefront. Control Costs With 10% Off Retail Prices For Wholesale Purchases. We offer a 10% pricing discount for buying our all-natural eggs wholesale. Call your order ahead for storefront pick up, and we will have it ready for you. Our clients include schools, colleges, grocery stores, restaurants, and other retail and commercial establishments. A tax ID number is required for wholesale purchase. Convenient Delivery Service Brings Wholesale All-Natural Eggs And Meat To You. 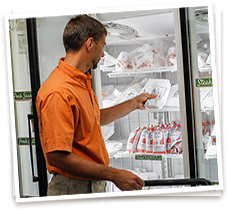 Sunrise Farms makes it easy for you to enjoy regular delivery of our eggs and all-natural meat and honey with regional delivery from our local partner, Shenandoah Foods. Call or visit us to set up or pause your all-natural eggs and meat delivery service. Shenandoah Foods delivers our all-natural eggs and meat from Winchester, VA, to Washington DC Metro Area, to Richmond, VA, and all points in between. Our Values Include Service To Our Community, A Foundation For Our Wholesale Business. The Sunrise Farms difference is in our values. We strive to live our values in our everyday efforts to run Sunrise Farms with integrity founded on service. 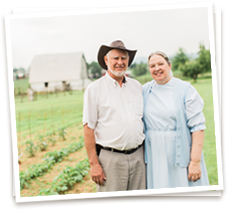 Providing a purpose for our family and honoring our community through our work makes a natural partnership with local businesses who value our all-natural approach to non-GMO farming and ethically raising our animals. We appreciate and cultivate the opportunity share our bounty with other local businesses and our greater community through the wholesale of our all-natural eggs and meat. Contact Us Or Visit Us To Purchase Non-GMO All-Natural Eggs Wholesale Today.